Carvel Ice Cream one of the best-loved places to get ice cream! They serve premium soft serve and hand dipped ice cream products, as well as uniquely shaped ice cream cakes, including its signature Fudgie the Whale and Cookie Puss cakes. 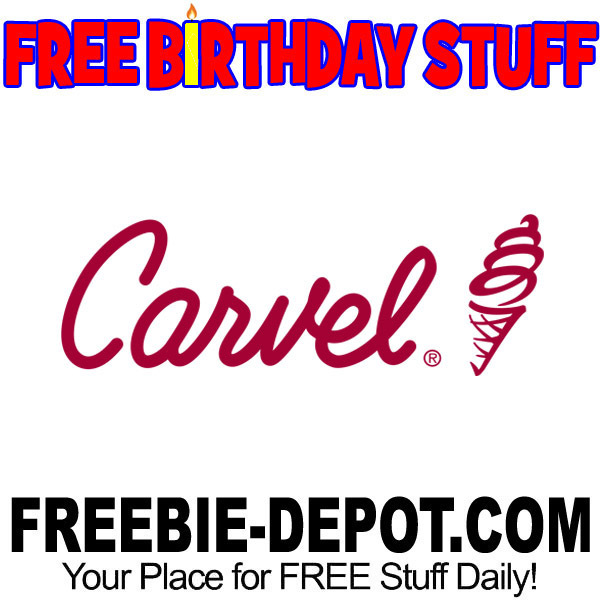 Join Carvel’s Fudgie Fanatics so that you can get some FREE Ice Cream for your birthday. In addition to the FREE Birthday treat you will also get some FREE Coupons. You’ll find the sign up form at the bottom of their website. Be sure to complete your profile and add your birthdate.